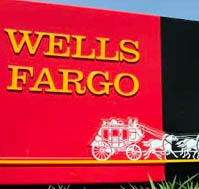 Wells Fargo Bank, the U.S. housing lender that receives only about 3% of its revenue from foreign markets, plans to expand its real estate investment-banking business as it makes plans to move into the United Kingdom’s market. The bank will rely on its subsidiary company, Eastdil Secured LLC, to advise its British clients on deals and aid them in finding financing, according to a spokesperson at Wells Fargo’s commercial real estate division. Earlier in the year, Wells had also announced plans to expand lending backed by U.K. commercial properties. The CEO of Wells, John Stumpf, is looking beyond the U.S. for business after the bank became America’s top home-lender. Expansion into the U.K. began in late 2011 with a focus on loans for units in the central business district of London.